I’ve moaned about attendances at great gigs in the past, but this week at The Academy was a bit of an eye-opener. A headline band that hasn’t been in the UK for seven years playing on a wet Tuesday night in Islington: I wasn’t expecting a great crowd. Arriving about halfway through the first support band’s set after rain delays, I was gobsmacked; the place was almost full and the atmosphere was incredible. Even during the first support set, there was a sense of something special about to unfold in N1. The two support bands, Lisbon and Secret Company, played energetic sets packed with inventive arrangements and melodies, building up the atmosphere for the headliners and gaining a few new fans as a bonus. Kakkmaddafakka seemed to be playing to a home crowd; it looked (and sounded) like every Norwegian from the Home Counties had come out to have some fun. So, pretty much a full house and all revved up and ready to go. The simmering atmosphere was pushed a few more notches towards boiling with a fanfare as the stage lights died down and then the venue erupted as the six band members bounced onstage one by one, and built the first song from the bottom up. With a six-member line-up, the sound was absolutely enormous and the house sound system dealt with it perfectly. The energy generated on stage was incredible and the audience fed on it throughout the set as the band jumped effortlessly from one genre to another; the three front men were constantly in motion, like spinning tops, all taking lead vocals at some point in the set. We also got a lot of shouts of ’Maddafakka’ (from the band and the audience). The recorded material may seem a bit fey indie at times (maybe a bit Kings of Convenience), but live they’re a very different animal, thunderous bass and drums and pounding keyboards transforming them into a live monster. 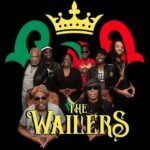 Despite all of the onstage lunacy, the band didn’t miss a beat as they powered through indie, house and even reggae – “Gangsta”, complete with a stolen Bob Marley intro. By the end of the set and the cheesy house cover, they had the audience eating out of their hands. Their magic brew of great tunes, enormous beats and onstage mayhem would warm the coldest heart (or dry out the wettest Londoner). Don’t leave it seven years next time guys. The second of our guest High Five contributions comes from Skye Edwards. 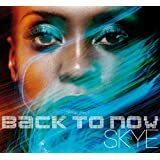 Most of you probably know Skye best from her work with Morcheeba but she has also released three excellent solo albums since 2006 (“Mind How You Go”, “Keeping Secrets” and this year’s “Back to Now”). Skye went one better than the Riot Squad by selecting her favourite 5 albums of all-time and it’s fair to say that they are a cracking collection. For what it’s worth, I’ve added some observations and background. Although Bob Marley had attracted some attention with “Live!” in 1975, it was “Exodus” that catapulted him to international fame in 1977. 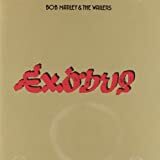 The album demonstrates every aspect of Bob Marley’s appeal, from the mysticism of “Exodus” and “Natural Mystic” through the yearning of “Waiting in Vain” to the outrageously catchy “Three Little Birds”. I’ll say something here which refers to every album in Skye’s selection; if you’re even slightly interested in music, you should have all of these albums in your collection. 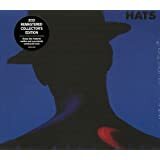 Although this was released at a time when anyone in Glasgow who looked good in 24” waist jeans and shades could get a record deal, The Blue Nile’s second album was a very special and highly influential album. When everyone else in Scotland played guitar-oriented pop, The Blue Nile concentrated on keyboards and samples to produce some ethereal innovative, and evocative music which still sounds great today. They weren’t a prolific band (4 albums in 21 years), but do you want quality or quantity? John Martyn was a true innovator and hugely gifted songwriter who really did do it his way. He developed a drawling, laconic vocal delivery and pioneered the use of effects pedals to thicken up his guitar sound (including building up layers of sound using analogue echo units). “Solid Air” was his sixth album and the point where everything came together to create a classic. 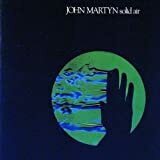 It’s a tribute to John Martyn’s songwriting that, from this album, “May You Never” was covered by Eric Clapton (on “Slowhand”), “Man in the Station” was covered by Ian Matthews (on “Stealing Home”) and “Solid Air” has been covered by Skye (on the tribute album “Johnny Boy Would Love This”). Sade Adu had one of the voices which defined the 80s; a great soul voice which seemed at times to be produced with absolutely no effort. The smoothness of the voice and the arrangements could distract from the genuine quality of the songs at times, but they were great songs. 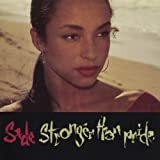 This album came towards the end of Sade’s time in the limelight but was undoubtedly the work of an artist at the top of her game and it’s worth having if only for “Love is Stronger than Pride”. 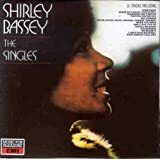 It’s fitting that a singer would choose a Shirley Bassey album as one of their top 5; this is a great collection of songs which includes 2 Bond themes (“Diamonds are Forever” and “Goldfinger”), 2 Beatles covers (“The Fool on the Hill” and “Something”) and the wonderful “Big Spender”. And that’s less than a third of the album. This is a great example of an artist with a fabulous voice working with strong songs and great arrangements to produce truly memorable performances. Many thanks to Skye Edwards for sharing her all-time favourites with us; tomorrow we have the selection of Steve Jenner, drive-time presenter on Ashbourne Radio in Derbyshire and a man with an ear for a great tune.